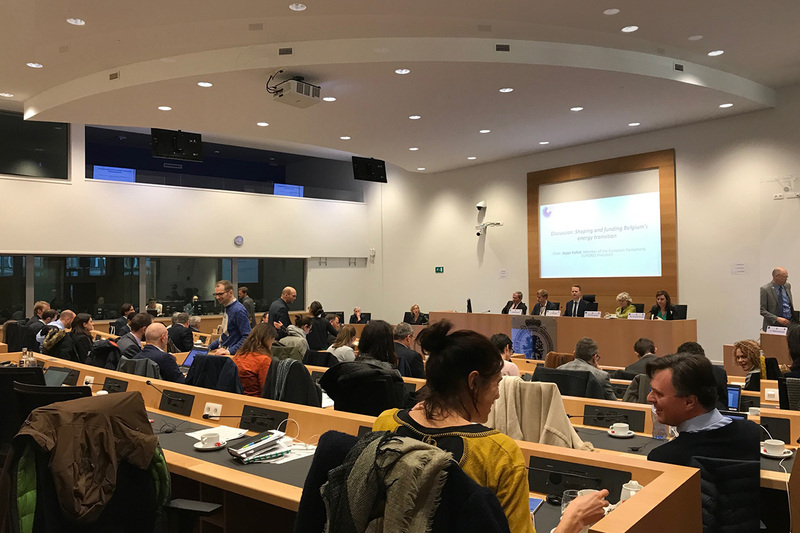 On 5 February WindEurope attended a workshop in the Federal Parliament of Belgium on the draft of the Belgian National Energy and Climate Plan (NECP). Best practices in renewable energy policy. Prominent speakers included: Jean-Marc Delizée, President of the Economy Committee; MP Bert Wollants of the Federal Parliament; Jan Hensmans, Head of the General Policy & International Relations Unit of the Federal Energy Ministry; MEPs Florent Marcellesi, Theresa Griffin and Jeppe Kofod; and Paula Abreu Marques, Head of the RES unit in the European Commission’s Directorate-General for Energy. There is now an EU-wide renewable energy target of 32% by 2030. In the current draft of its NECP, Belgium promises a 2030 total renewables target of 18.3%. This stands in contrast to Belgium’s 2020 renewable energy target of 13%. At the moment, renewables account for just 9.1% of Belgium’s energy demand. There is still a long way to go. Wind power will play a vital role in the energy transition, and Belgium’s current NECP draft reflects that, to a degree. The NECP contains high ambitions for offshore wind, with an expected 4 GW of total installed capacity by 2030. However, the onshore target of 4.2 GW is relatively low. For Flanders, in particular, there are plans for a mere 51 MW of new installed capacity per year for the period 2020-2030, and this does not even incorporate estimations for installations coming to the end of their operational lifetime. The current draft of the plan has a strong emphases on the following: grid and system integration; infrastructure; and the decarbonisation of heating and industrial process. It also incorporates a complete nuclear phase-out by 2025. The NECP includes provisions to introduce capacity mechanisms for new gas plants that need to be built and operational by 2025. As next steps, the Belgium federal government will request input from various advisory councils and organise a large public consultation on the draft text. The European Commission will give feedback on the NECP in June. The Plan should then be finalised and sent to the Commission by the end of this year. The National Energy and Climate Plans (NECPs) will define our markets for the next 10 years. Do you want to see the NECP of every EU country?